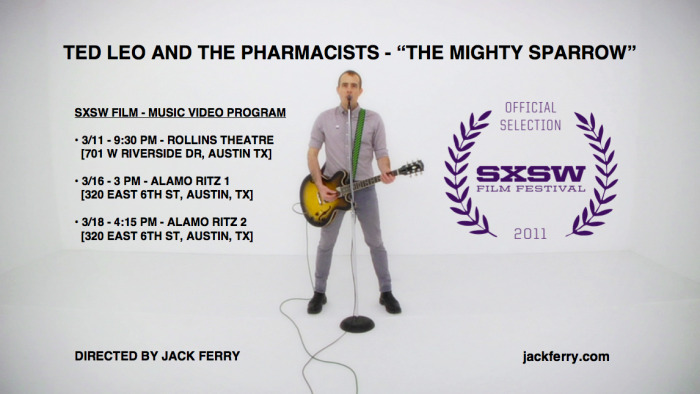 My music video for "The Mighty Sparrow" by Ted Leo and The Pharmacists will be playing the 2011 SXSW Film Festival! Why watch it here when you can watch it down in Texas? Screening info here.